Primal Dialga uses time to swich out the foes playing pokemon with a bench pokemon (Dialga get the choice). 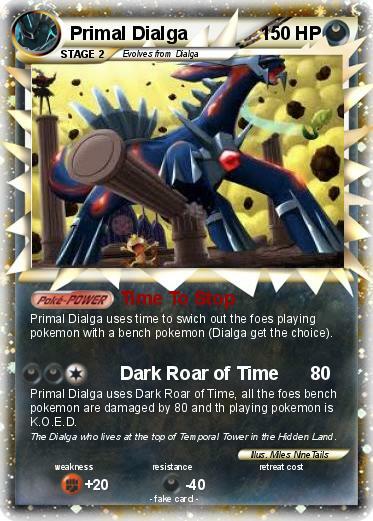 Primal Dialga uses Dark Roar of Time, all the foes bench pokemon are damaged by 80 and th playing pokemon is K.O.E.D. Comments : The Dialga who lives at the top of Temporal Tower in the Hidden Land.